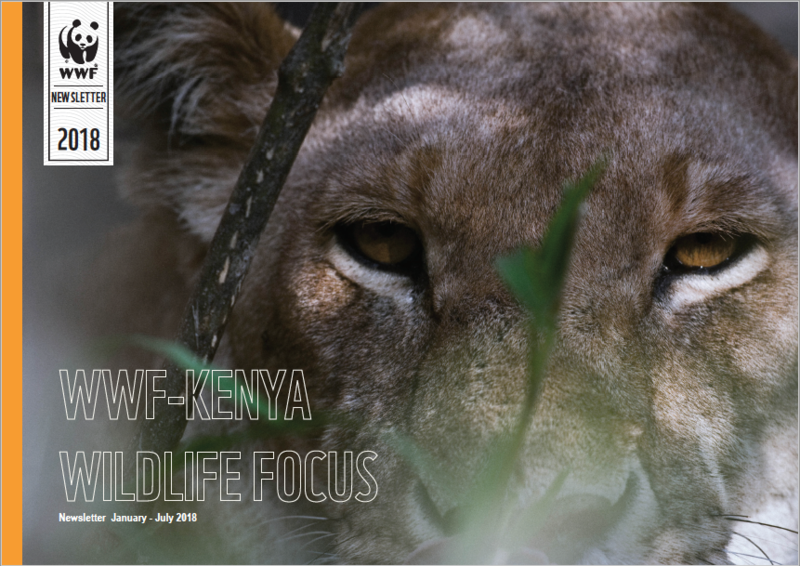 It is our pleasure to bring you the second edition of WWF-Kenya’s, Wildlife programme biannual newsletter, the Wildlife Focus. In this edition we highlight on the milestones, key learnings and challenges facing wildlife conservation in the country. To manage Human-Wildlife Conflict (HWC), WWF-Kenya is piloting the Safe System Rapid Assessment in Narok County. This is the first time the framework is being implemented in Africa. Our goal is to identify the gaps in the current HWC interventions and develop a strategy that will be used by stakeholders to make conflict hotspots safe for people, livestock and wildlife. This intervention will go a long way to reduce property loss and secure critical habitats. Furthermore, through strategic partnerships we have managed to maintain zero poaching of elephants in the priority sites, completed writing the African Lion Strategy and we are in the final stages of reviewing Kenya’s Lion Strategy. We are also excited to report that through collaborating with the local communities in the Mara where over 5,000 acres of space for wildlife conservation bordering Siana Conservancy is secured. This is an initial build-up to the grand project of securing the Southern-Kenya and Northern-Tanzania landscape that WWF-Kenya and WWF-Tanzania is collectively developing with other network partners to expand wildlife dispersal and migratory corridors in East Africa. We have lined up this and more stories for you as we continue to sustain wildlife conservation work in Kenya for posterity.